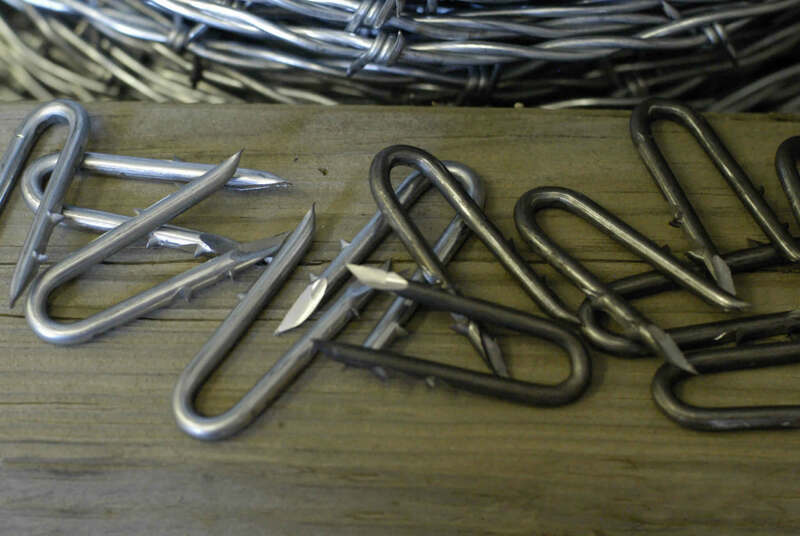 No matter what OK Brand product you need to securely fasten to wood posts, OK Brand Barbed Fence Staples will do the job. OK Brand staples are slice-cut and have plenty of holding power. 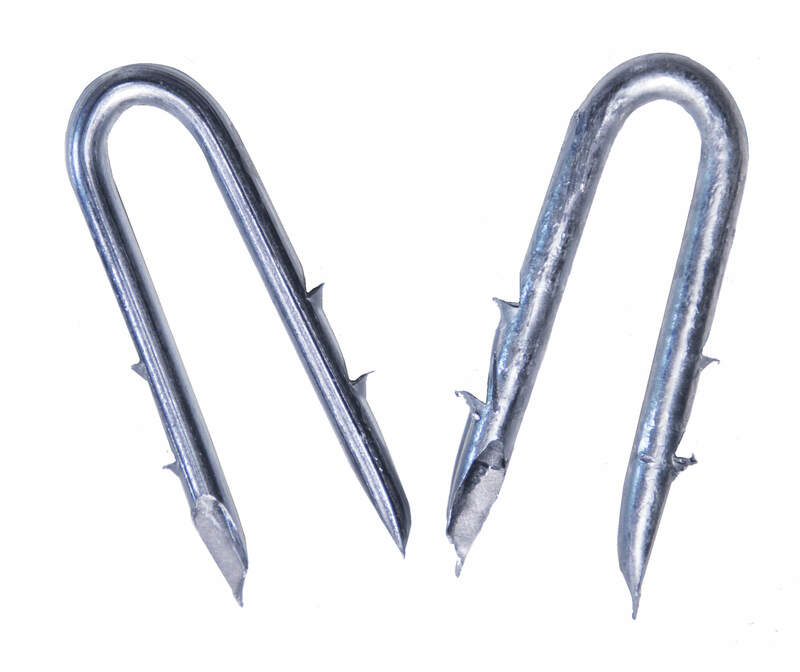 The sharp points make them easy to drive into the wood and the barbs hold them securely in place. 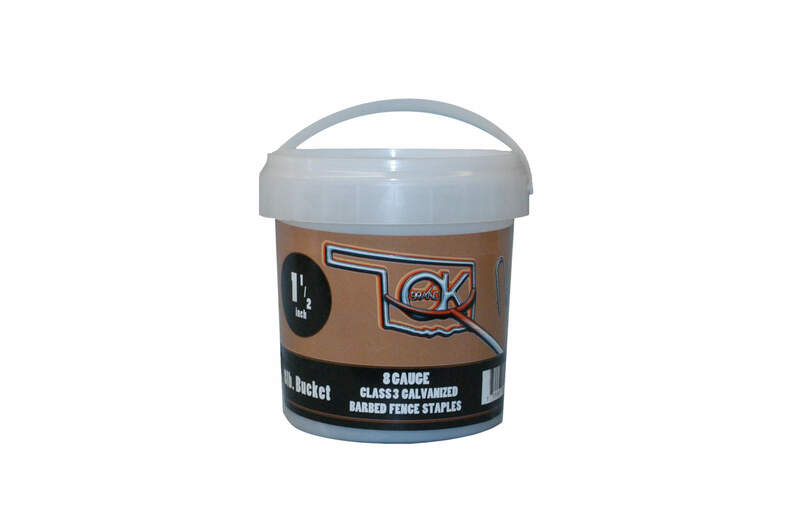 Made with high-quality commercial and Class 3 Galvanized Wire Coatings, this double-barbed, 8-gauge staple is made to do the job right the first time, and for a long time. Available in 8-pound and 50-pound buckets.